“the master.” To today’s watch aficionados, it means the same. 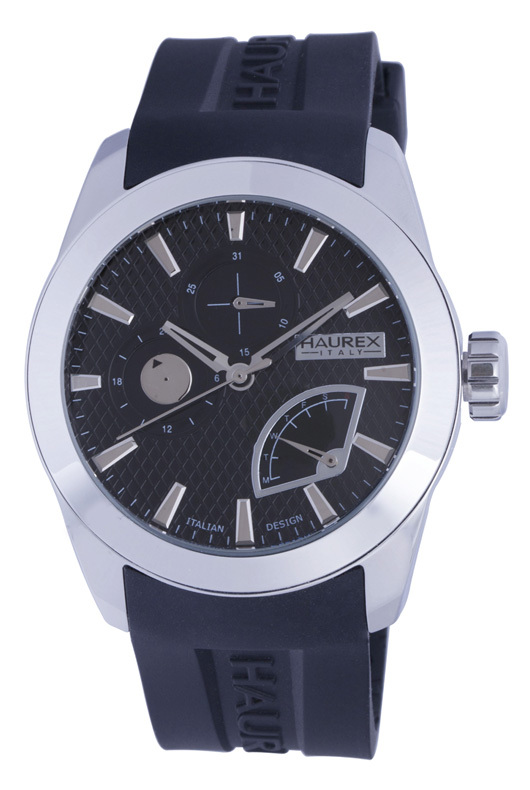 Haurex is well known for its ability to turn the latest fashion trends into highly desirable and wearable watches. 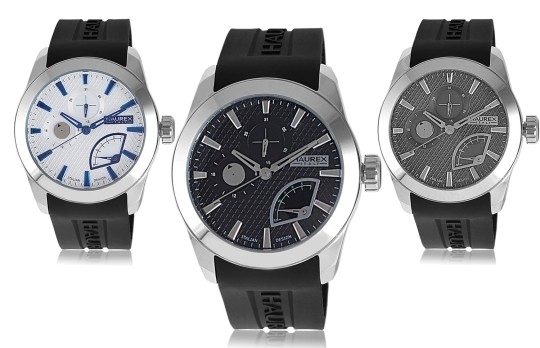 Now, this young Italian company has done it again with their spectacular new Magister Watch Collection. 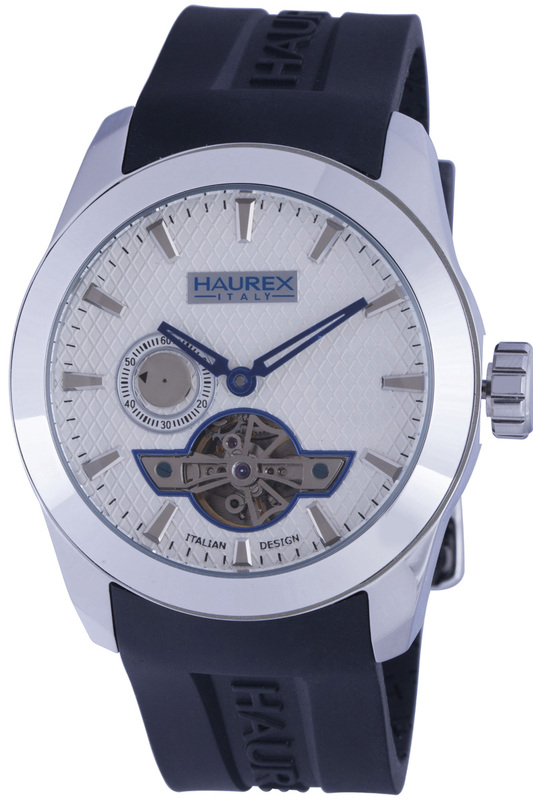 The big, bold Haurex Magister watch collection is available in both automatic and quartz configurations, each with its own distinguishing characteristics. 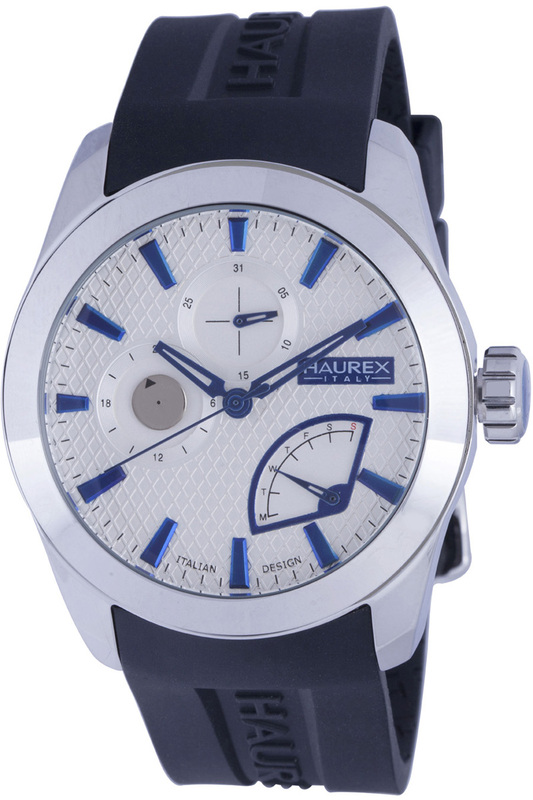 These distinctive 44 mm timepieces exhibit a mastery of design that Haurex watchmakers have become famous for. 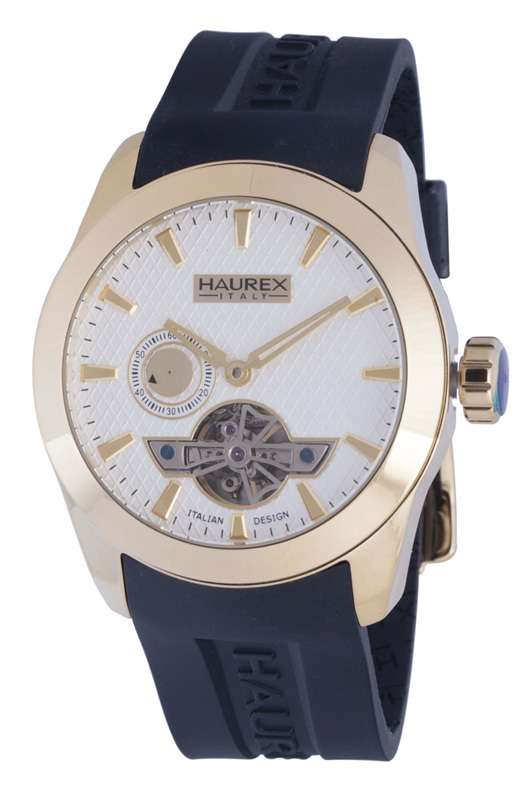 Constructed using the finest quality materials, Haurex Magister watches add a fashion-forward sophistication to any wrist. 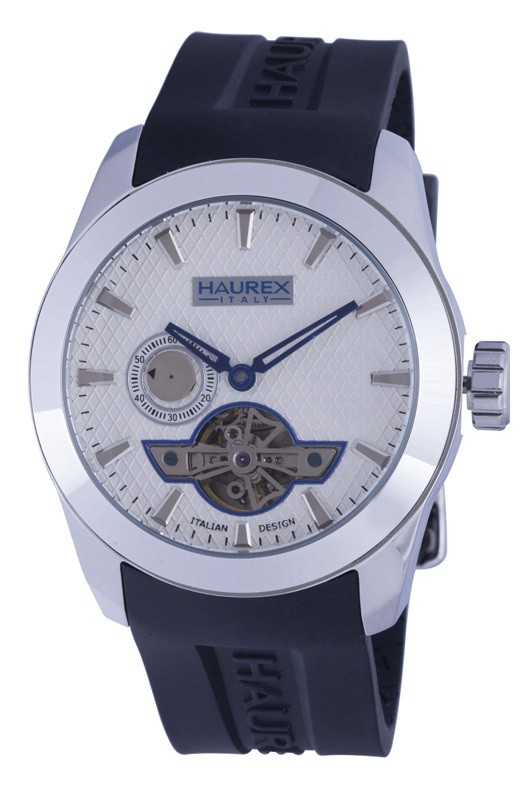 The Magister Quartz model is an innovative multi-function timepiece that combines subdials that indicate the date at 12 o’clock, a 24-hour time display at 9 o’clock, and a unique retrograde day display between 4 and 5 o’clock. 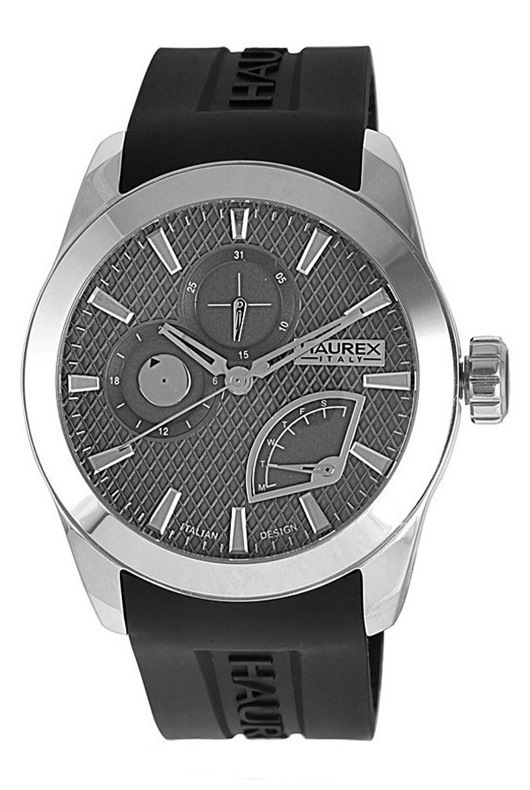 All this information is artfully arranged on a beautiful waffle pattern dial with raised metal indices. 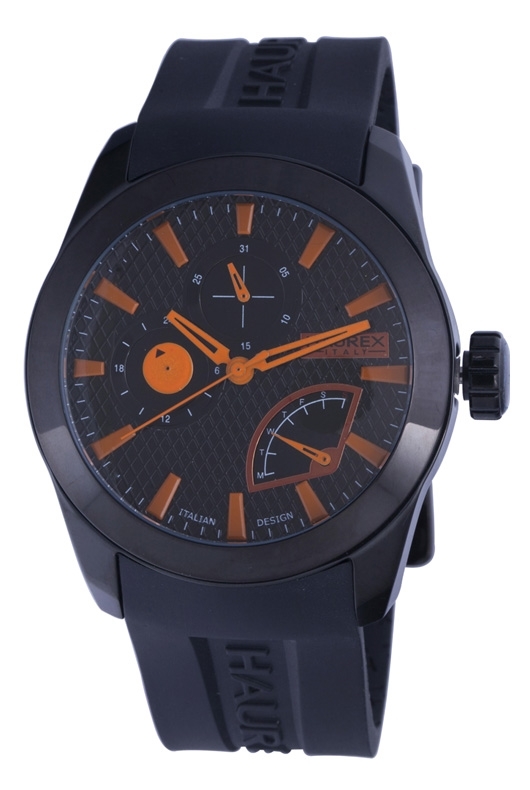 The Magister Quartz is powered by a precision Miyota JR00 quartz movement and is water resistant to 100 feet. 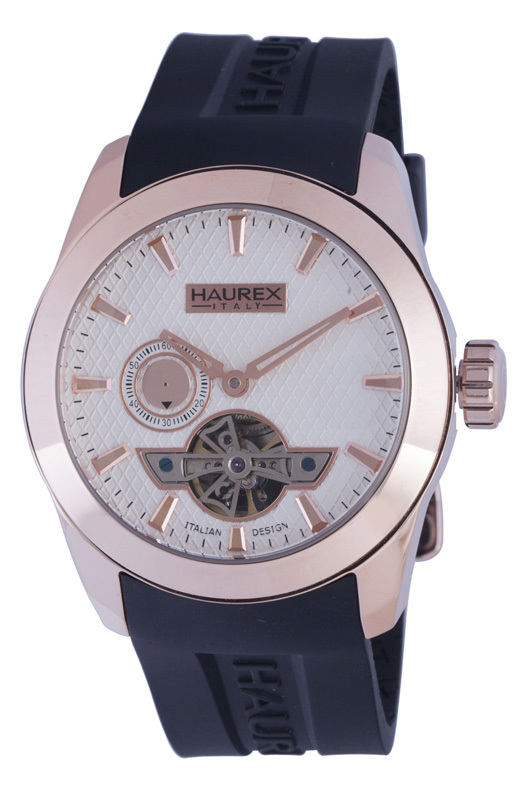 Quartz models are available in stainless steel, IP rose gold and IP black. 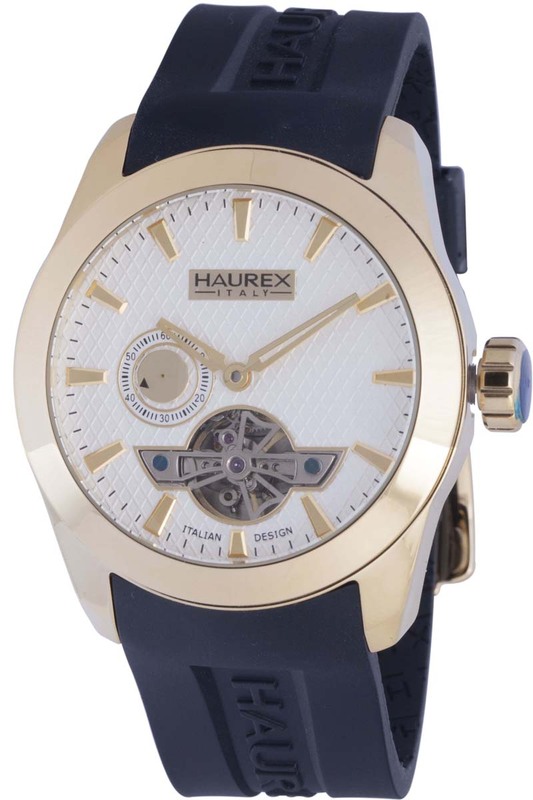 The Magister Automatic, available in stainless steel, IP yellow and IP rose gold, is powered by a precision mechanical movement with a beautiful open-heart configuration that allows you to see the rotating balance wheel through an opening in the raised waffle pattern dial. 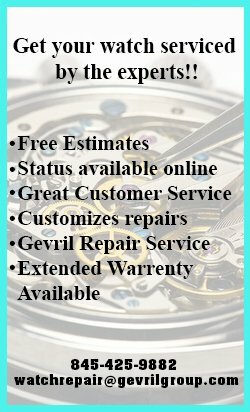 The balance wheel is attached using a distinctive decorative bridge fastened by two blued screws. 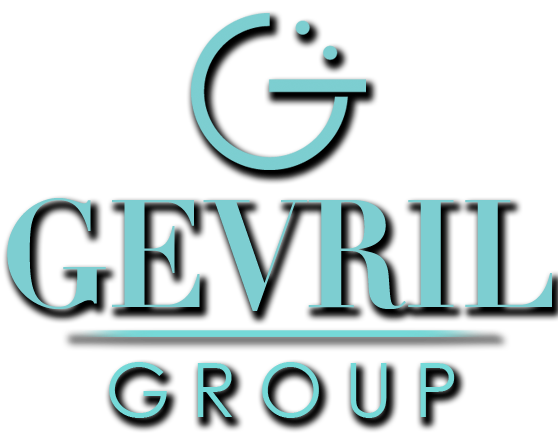 Completing the distinctive design is a small continuous seconds subdial at 9 o’clock with a rotating disc to indicate the seconds. 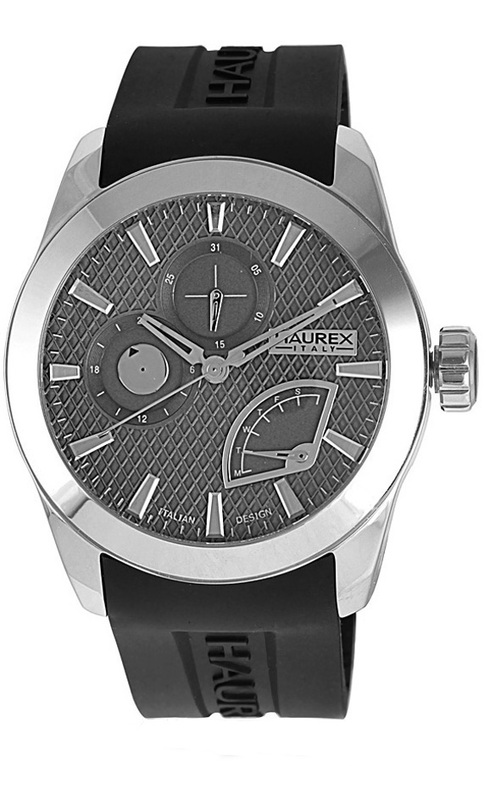 Like the quartz model, the Magister Automatic is water resistant to 100 feet. 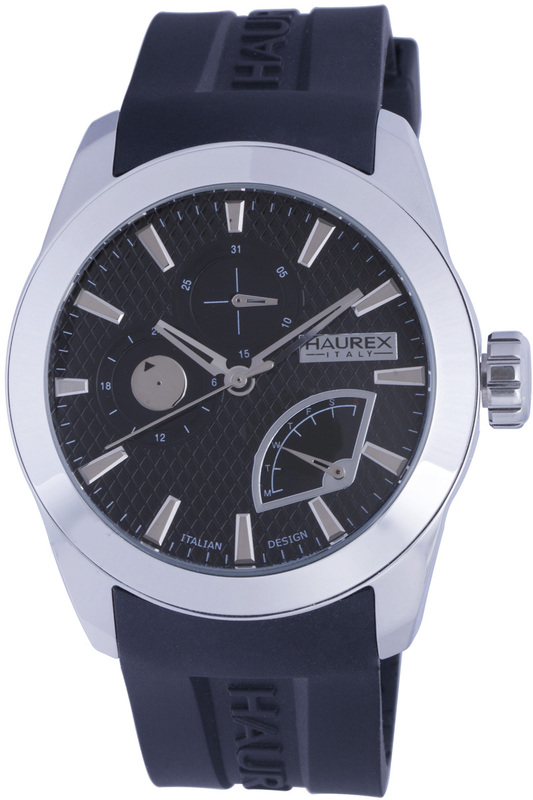 All Haurex Magister watches are equipped with a fashionable black rubber strap emblazoned with the Haurex logo and protected by a durable mineral glass crystal. 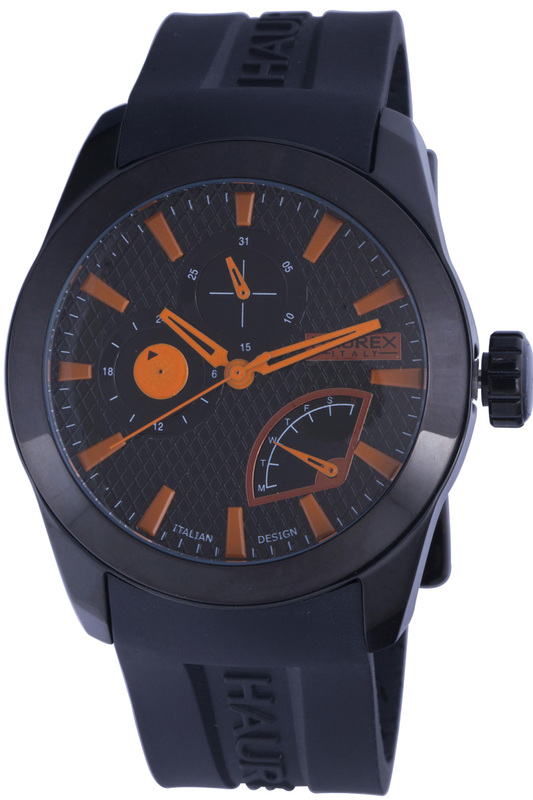 These masterfully masculine designs are appropriate for both casual and dressy occasions. 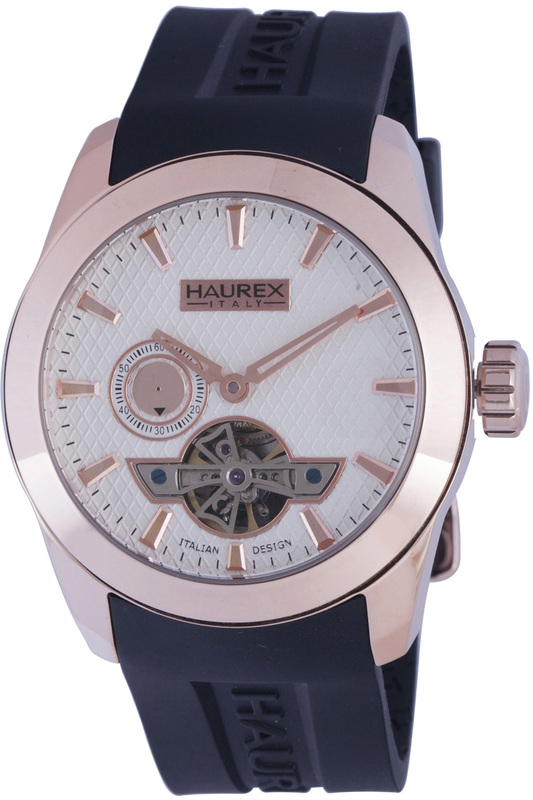 If you haven’t already discovered the fresh, modern look of contemporary Italian timepieces, the Haurex Magister Watch Collection will provide you with a surprisingly affordable introduction to these fashion-forward favorites. 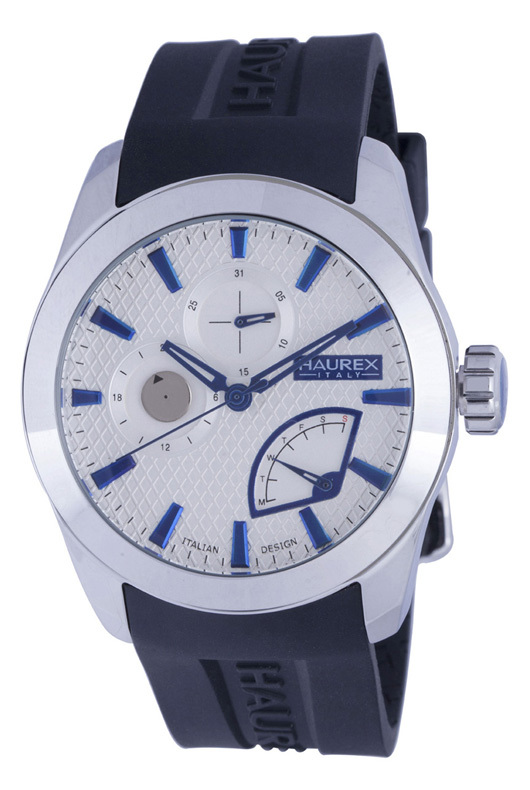 To put one of these masterful creations on your own wrist, contact an authorized Haurex watch dealer immediately and ask to see the Magister Collection.